The staff of Spruce Tree Montessori School share a common vision. We believe that education should be an inspiring experience — a journey for both the child and the parent — during which a partnership between the school and family serves both through a love of learning. All Spruce Tree Montessori School classroom teaching staff hold bachelor’s degrees and are CPR-First Aid certified. All Lead Teachers and Co-Teachers also hold Montessori credentials for the level at which they are assigned. We hold the safety and security of the children of Spruce Tree as our top priority. Sabrina was born and raised in Wiggins, Colorado and attended the Colorado School of Mines (CSM) on a basketball / volleyball scholarship. She earned a Bachelor of Science degree in Petroleum Engineering there and enjoyed a well-rounded experience as a student-athlete. She met her husband, Ryan Binkley, at CSM and moved to Alaska in 2001 to begin her life in Alaska and a career in engineering. After a short time with Alyeska Pipeline Service Company (the company that owns/operates the Trans-Alaska Pipeline), she began work in the family business at the Riverboat Discovery. For 15 years she worked as Vice President of Retail Sales and as the Head Buyer for the company. She now serves as a consultant to the retail management team. After many seasons of work in the visitor industry with the Riverboat Discovery and four seasons as Head Volleyball Coach at a local high school, she learned the value of top-notch customer service and leadership. During this tenure, she developed a strong understanding of business operations, finance and marketing. 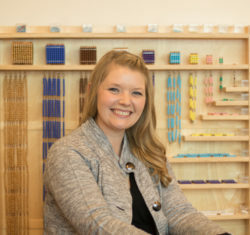 Those skills combined with her passion for inspiring children led her to become the Founder of Spruce Tree Montessori School (STMS) in March 2012, Fairbanks’ only Montessori preschool and elementary school affiliated with the American Montessori Society (AMS) as a Full Member School. The school opened in August 2012 and she has served as Head of School since the beginning. With growth from 7 students and 1 teacher to 50 students and 4 teachers in just three years, the school repurposed the historic Fairbanks train depot in downtown Fairbanks and relocated its campus. This well designed building with beautiful outdoor play and work scapes, combined with its prime location has positioned STMS for further, strategic expansion in the near term. Spruce Tree now enjoys enrollment of 90 students, and employs 10 full time and 2 part time staff. Sabrina is involved in her local community in several ways including serving on the Chamber of Commerce Board of Directors for the past five years. She has been a Rotarian for 12 years — a charter member of the Golden Heart Rotary Club — and has held several offices including Secretary, President and Past President in service to her club. She’s also proud of her past service on the United Way Board of Directors, a 10 year stint, during which she enjoyed co-chairing the organization’s annual fundraising campaign in 2010 that brought in upwards of $1.4 million. Her professional extra-curricular interests and activities include serving as the Chamber’s Education & Workforce Development Committee Chair for the past four years, a member of the Chamber Board Executive Committee for three years, volunteering with her Rotary club at local events, working with the newly formed Alaska Montessori Association Board of Directors, on which she serves as Secretary/Treasurer, and attending AMS conferences for the past 7 years. To begin her journey, she has fond memories of her time serving on the Fairbanks Montessori School Board for four years (2009 – 2013) where her oldest son attended preschool and kindergarten. Sabrina was named to the Alaska Journal’s Top 40 Under 40 class of 2017 for her work in education and business. At home she enjoys cooking/baking, entertaining friends and family, yoga, and playing board games and cards. She looks forward to a time when she’ll have more time for skiing, running, hiking, and summertime gardening. Sabrina is married to Ryan Binkley (16 years) and together they have two boys, Simon (12) and Clive (8), and a 1 year old English Springer Spaniel named Glady. As a family, boating, traveling, following Simon’s hockey team and Clive’s nordic ski adventures keep them busy. Kristen attended a Montessori preschool when she was a child. She went on to earn a degree in Elementary Education from the University of Florida. She earned her Montessori credential for the early childhood level (EC 3 – 6) Summer 2013 from the Center for Guided Montessori Studies in Florida. Kristen joined our team Fall 2013 as our first Children’s House Lead Teacher. 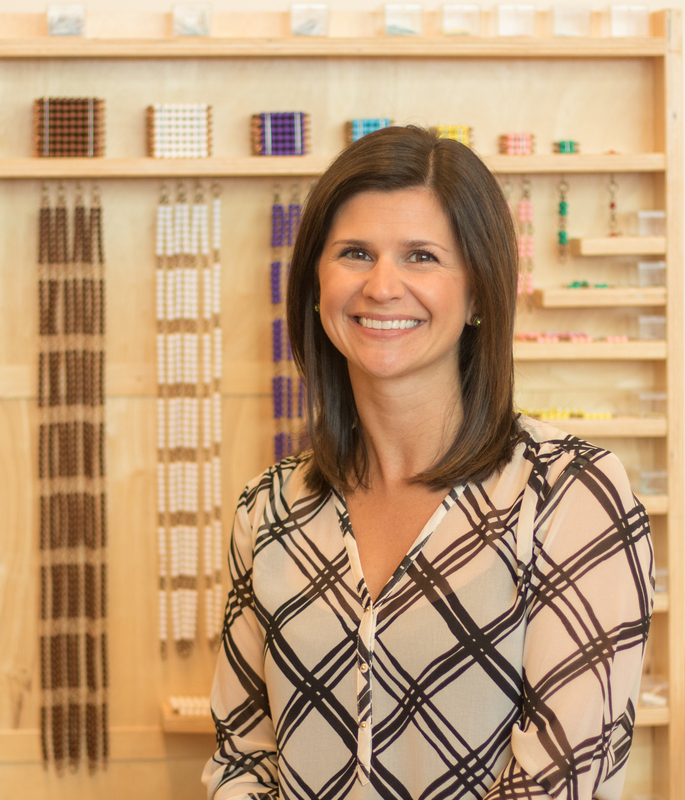 During the weeks leading up to the first day of school, she was instrumental in creating an inviting, fully authentic Montessori classroom environment and led our school’s first early childhood cohort along an inspiring educational journey. After a maternity leave Spring 2016, she returned as our Program Advisor until moving to California that August for a 1-year training stint with the USAF as her husband, AJ, is an F-16 pilot. Upon their return to Fairbanks summer of 2017, she re-joined our team as our Children’s House Program Coordinator, serving as the Children’s House team advisor collaborating with the Lead Children’s House Teachers, Teacher Assistants and other classroom support staff. She accepted her current position as Lead Teacher this summer and continues to serve as our Children’s House Program Coordinator. Ms. Kristen joined our staff in August 2013. Megan graduated from North Pole High School in 2008 and attended the College of Idaho for one year, majoring in Education. Upon returning to Alaska, she transferred to the University of Alaska – Fairbanks and hopes to pursue her degree in Elementary Education. 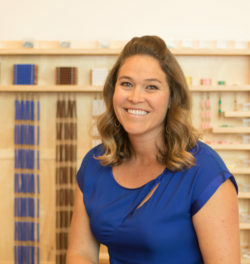 Megan attended the Seton Montessori Institute’s Paraprofessional Preparation course in March 2018, which provided a broad foundation in Montessori philosophy, educational techniques and classroom best practice. She has many years of experience in home childcare and hospitality. Ms. Megan joined our staff in May 2017. Greetings! I was born and raised in Poway, Calif. (suburb of San Diego) and I came to Alaska in the fall of 2000 to earn a degree from the University of Alaska and play volleyball for the Nanooks. I wound up getting my degree in foreign language (Hispanic studies/Spanish emphasis) with a minor in Linguistics. After graduation, I worked in the athletic department as the media relations and communications director and met my future husband, Randy, who is an Alaska Smokejumper. I stayed involved with the volleyball program as a volunteer assistant coach for 10 seasons and for the past two years I served as the full-time assistant coach. 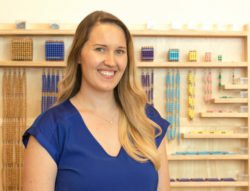 Jamie earned her Montessori Early Childhood (EC 3 – 6) credential Summer 2017 from the Center for Guided Montessori Studies in Florida and completed her practicum teaching year as Lead Children’s House Teacher, Taiga community, at Spruce Tree. I always had an inclination I would be a teacher and a coach just like my father, a retired public school P.E. and Math teacher of more than 30 years. My Montessori journey really began when our eldest daughter, Isabella, joined the Children’s House class at Spruce Tree Fall 2014. Watching her all-around growth and development coupled with the education and exposure we got through school functions and educational opportunities fueled a deeper intrigue and grew my passion to know more, be more involved in the school’s amazing family community and to bring the Montessori way of living into our home as well. The ultimate goal of Montessori and several of the guiding principles and methods encompass my preexisting philosophies for parenting, teaching, coaching and living life in general. Working around and with children of all ages has always been a big part of my life. 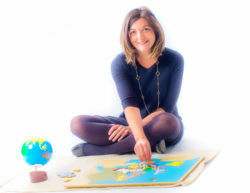 As such, it was a very easy and exciting choice to pursue the path to become a Montessori teacher with an age group where I can foster and guide future leaders, providing a solid and comprehensive foundation of character, intelligence, empathy and understanding so they may grow up with the knowledge, compassion and strength to change the world. It is a blessing and a pleasure to be a part of the amazing staff at Spruce Tree Montessori and I am looking forward to the exciting year that lies ahead. Ms. Jamie joined our team Fall 2015. AMS Credential: Early Childhood (3-6), M.Ed. Hi! My name is Jean Kermode, and I grew up in beautiful Ventura County, California. I taught swimming and piano lessons for many years, and found I loved teaching. I studied the Liberal Arts at Thomas Aquinas College, and knew I wanted to share my wonder for the world with others. As the conventional methods of education didn’t interest me, I was intrigued when I discovered Montessori and its whole person, natural approach. The more I learned about Montessori, the more I loved it. In 2015, I received my Primary (3-6) Diploma from the Montessori Institute of San Diego, and a M.Ed. in Montessori from Loyola University Maryland. I’ve worked as an assistant and lead teacher at Montessori schools in CA, and I’m happy to join Spruce Tree Montessori here in Fairbanks. My husband and I first came to Fairbanks last year, and I soon fell in love with the big skies and friendly community. I look forward to exploring life here through my love for hiking, skiing, and reading old books. Ms. Jean will join us November 26, 2018. I am thrilled to be a part of the Spruce Tree family! I grew up in Anchorage, Alaska and moved to Bellingham to earn a degree in Political Science from Western Washington University, graduating with departmental honors in 2013. I had the pleasure of living on Whidbey Island for a year post-college, exploring the surrounding islands and North Cascades, and moved to Fairbanks in 2014. I enjoy ballet, art, attending a live symphony, hockey, cycling, growing and preparing local foods, and baking projects (in particular, Scandinavian recipes and breads!). I also love traveling; especially to boreal regions. With an interest in finance, leadership and the non-profit arts community, my educational goals include obtaining an MBA. As well, I hope to gain further early childhood education credentials and be a positive force for youth through engagement in dance instruction, BBBS and Fairbanks Youth Advocates. Subbing in the Spruce Tree kitchen and classroom fall 2018 connected me to the school. I am blessed to live in such an integrated, loving community and am thankful for the opportunity to learn from my talented colleagues and work with the lovely student body. I’m grateful for the continued support of my family and guidance of my grandmother, Mrs. Walukiewicz, longtime Alaska public school teacher. Ms. Haley joined our staff October 2018. Hello! My name is Kris Romberg. Born in Soldotna, I spent my childhood playing in the great outdoors of Alaska. I attended Dartmouth College in New Hampshire, where I received a Bachelor of Arts degree in Music and Education – Human Development and Teaching. I also got my K-8 teaching certification while at Dartmouth. I started teaching in California, and then took positions in the Republic of the Marshall Islands, in Lebanon, and in Vietnam before returning to California. I moved back to Alaska in 2014 and began my Montessori journey as a lead teacher in a lower elementary classroom at Soldotna Montessori Charter School. I have always gravitated toward the constructivist paradigm, so much of my Montessori training was a natural fit and quick adaptation of my previous experiences and inclinations. I earned my Montessori teacher certifications for lower and upper elementary (Elementary I/II) from the MACTE-accredited and AMS approved Montessori teacher training program, at the Center for Guided Montessori Studies in 2017. I look forward to continuing my Montessori journey and being a part of the Spruce Tree Montessori community! Ms. Kris joined our staff Fall 2018. Alisha Thompson was raised in the small town of Salcha, Alaska. Growing up in such a small town instilled a lifelong love of creating in her. Alisha plays violin and guitar, sings, and loves to write her own music, stories, and poems. Alisha loves to cook and bake and tries to be as creative as possible in the kitchen! In 2012, Alisha moved to Fairbanks where she met her husband Alex. They have a Munchkin cat, Einstein, and a Black lab-Akita pup, Vesper. Alisha has experience working in both daycare and classroom settings as well as experience working in the fields of customer service and hospitality. She reflected, “I have always known that I wanted to work in the field of education. I believe that knowledge of the world around us and of the self is of the utmost importance; I understand the crucial role that caring and passionate educators play in the construction of this knowledge.” She earned a Bachelor’s degree in English and a minor in Psychology from the University of Alaska, Fairbanks in 2018. She continued, “During my undergraduate studies, I began to really think about and explore the role of an educator and the type of educator I hope to become. In this exploration, I found that my own personal philosophy of education aligns closely with the Montessori philosophy. I really admire the whole child approach of Montessori education and its focus on instilling a lifelong love of learning in all students. I plan to begin a Montessori elementary certification program this summer as I continue my own educational experience, and I am very excited to begin my journey at STMS. I’m so happy to become a part of the Spruce Tree community! 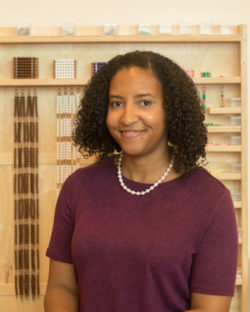 Ms. Alisha joined our team January 2019. Hi everyone, I’m Nate Zody and I’m excited to be a part of the team at Spruce tree Montessori! I care deeply about the well being of all the students I work with and their personal development as members to the society around them. Helping others develop integrity and responsibility is at the core of what I believe. I love the goals and ideas at the heart of Montessori philosophy and am truly vested in the continuation of my own learning. I hope to bring enthusiasm each day and be a positive influence on the students whose lives I now get to be a part of. Nate served as a behavioral intervention specialist for 5 years at Lathrop High School with the Intensive Resource Department. During his undergraduate studies at the University of Idaho he was introduced to many opportunities to study and analyze developmental disabilities and was taken by how much he liked the field of special needs. Nate attended the University of Idaho and studied secondary education and social sciences. Although his emphasis was in secondary, he completed his student teaching placement at an elementary Physical Education department 2006-07. The positive energy and enthusiasm experienced left a lasting impact and showed him a greater range of what there was in education. At the University of Alaska Fairbanks, Nate pursued a major in History and a minor in Sociology and worked at the University Fire department. Coaching has been Nates’ passion since he first began substituting for the Fairbanks North Star Borough School District. He has coached football at Lathrop since 2012 and has coached Track and Field for five of those years serving as the sprinters’ strength and conditioning coach. Mr. Nate joined our team Fall 2018. I am originally from Guatemala and Spanish is my first language. At the age of 16, my family moved to Canada, which provided me an opportunity to learn English as well as be exposed to French. Being a part of a multicultural family has taught me that respecting other cultures and customs can open many doors beyond borderlines. It is an honor to be able to teach Spanish to a new generation, to children full of curiosity about other people and cultures. I look forward with enthusiasm and commitment to the opportunity to again be a part of the Spruce Tree Montessori team this year. I graduated high school with a dental assistant diploma from Weston Collegiate Institute, Toronto, Ontario, and completed a dental receptionist certification program in 2005. Recently, I earned a Bachelor’s Degree in Business Administration from the University of the People, Pasadena, California. Ms. Claudia joined our staff in November 2017. Hello friends! My name is Erica Nash and I was born and raised in Palo Alto, California and took a leap of faith by attending the University of Alaska Fairbanks (UAF) to play volleyball. I earned a BA in Psychology before pursuing a Master of Education degree in Community Counseling. Before joining the team at STMS, I worked as a mental health counselor with teens and young adults, and I truly enjoy helping people on their journey toward a positive life. Outside of work, volleyball is a major passion of mine, and I curb this craving through coaching competitive club volleyball. This California girl loves exploring the natural beauty of Alaska through hiking and camping and I’m looking forward to new adventures at Spruce Tree Montessori School this school year. Ms. Erica joined our staff Summer 2016. Hello, my name is Oliver Loftus and I have lived in Fairbanks most of my life. I have a great curiosity for life, all the different ways to live, and all the various things to learn. I studied philosophy and mathematics at the University of Alaska Fairbanks, graduating with a BA in 2005. In 2007 I attended Vermont Law School, and while I found the intellectual aspects fascinating I decided that a career as a lawyer was not what I really wanted. I had been working for various surveying companies since the summer of 2001 so in 2009 I attended the Oregon Institute of Technology, graduating with a BS in Geomatics in 2011. I worked steadily in the field until the fall of 2014 when I decided to pursue my passion for woodworking. I attended an apprenticeship program at the Vermont Woodworking School greatly expanding my knowledge of wood craft. I have always had a great appreciation for good food and while I have no formal training I have been hooked on cooking since my uncle taught me how to make scallop fettucine at 13. I have traveled back and forth across the country multiple times, I have been to Ireland, India, and Thailand, and the dishes I’ve eaten are central to many of my memories. I have cooked over campfires, in brand new kitchens, and various setups in between. I am excited to be a part of the Spruce Tree Montessori team and look forward to sharing all that I have learned while continuing to develop my own skills. Mr. Oliver joined our team in November 2016. Hello, My name is Annie Scott! I am local to Fairbanks and I am very excited to join the Spruce Tree Montessori Team! I enjoy spending time with my family doing outdoor activities such as snow machining, sledding and berry picking. I also enjoy volunteering time as my daughter’s Girl Scout Troop Leader. As a young adult, I worked at a local financial institution for ten years. This time brought me a great deal of experience in finance and administration that I have found invaluable. After becoming a mother in 2010, I was inspired to start an in-home daycare that I continued for the following six years. While this was an incredibly fun, love-filled, challenging experience, it was also an amazing time for me to spend nurturing the hearts and minds of my children. Spruce Tree Montessori is a perfect environment for me to continue my passion of working with children while making effective use of my administrative abilities. I am excited and thankful for the adventures ahead! Ms. Annie joined our team Fall 2017.